Universal USB Installer 2019 free download, Universal USB Installer 2019 is a free and very easy-to-use tool that help you to install Linux on your USB drive or flash drive. 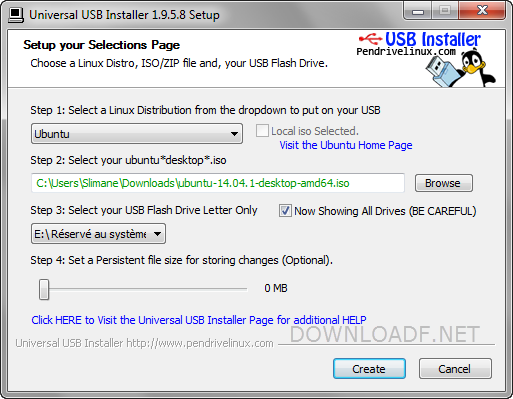 USB Universal Installer 2019 allows you to choose which Linux distribution to install, download the ISO of your choice and install it with ease. First , choose which of the many distribution of Linux you want to use. Supports Ubuntu, Kubuntu, Xubuntu, Linux Mint, Redhat, and SuSE, and more.. Universal USB Installer supports them all. When the process is completed, you will have a ready-to-run bootable USB Flash Drive that has your chosen Linux version installed on it.